The online version of this article ( https://doi.org/10.1186/s12867-019-0128-9) contains supplementary material, which is available to authorized users. Small nucleolar RNAs (snoRNAs) are one of the most abundant non-coding RNA species of 60–300 nucleotides (nt) length and function in guiding 2′-O-methylation (mediated by C/D box snoRNAs) and pseudouridylation (by H/ACA box snoRNAs) in ribosomal RNAs (rRNAs), small nuclear RNAs (snRNAs), tRNAs, and mRNAs [1, 2]. 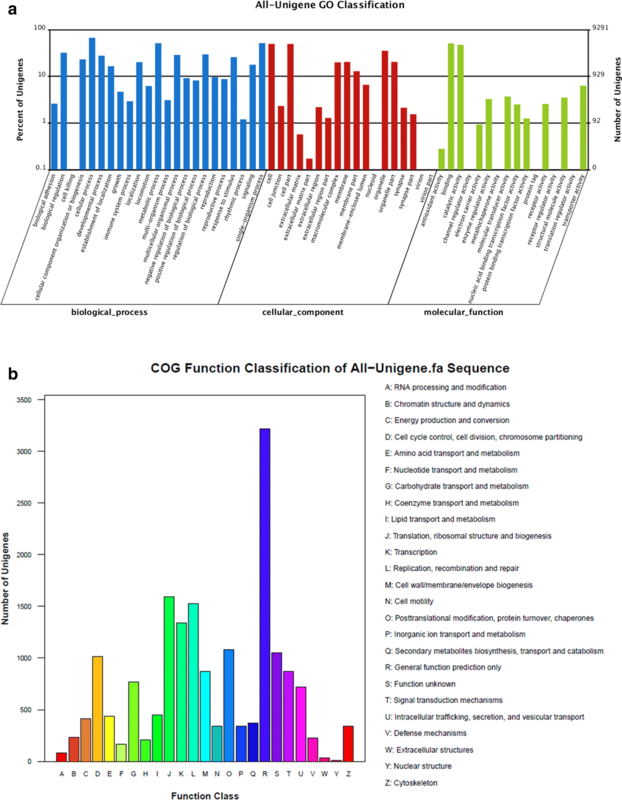 However, in recent years, a variety of snoRNAs have been found to display novel functions, such as processing molecules into smaller fragments [3, 4, 5, 6, 7, 8, 9, 10, 11, 12] and playing regulatory roles in transcriptional or post-transcriptional levels in human diseases [13, 14, 15, 16, 17, 18, 19, 20, 21, 22, 23, 24]. For example, the brain-specific snoRNA, HBII-52, is involved in the regulation of RNA editing and pre-mRNA splicing of serotonin receptor 2C (5-HT2CR) through an 18 nt complementarity to the 5-HT2CR pre-mRNA, and plays important roles in Prader-Willi syndrome [17, 18, 19, 25, 26, 27, 28]. Furthermore, accumulating evidence suggests that dysregulation of snoRNAs contribute to tumorigenesis [20, 29, 30, 31, 32]. For example, accumulation of gas5-generated snoRNAs was related to growth arrest of breast cancer cells [12, 33]. Inhibition of tumor-abundant SNORD78 suppressed the proliferation of non-small cell lung cancer (NSCLC) cells via inducing G0/G1 cell cycle arrest and apoptosis, while SNORD78 overexpression promoted cell proliferation . Additionally, SNORD113-1 was found to inactivate the phosphorylation of ERK1/2 and SMAD2/3 in MAPK/ERK and TGF-β pathways and suppress tumorigenesis in hepatocellular carcinoma , which indicated that the biological function of snoRNAs are various and elusive. 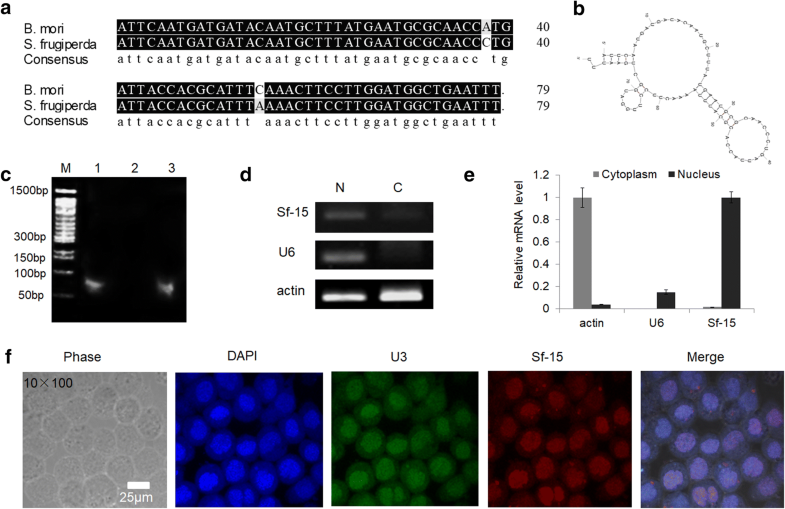 snoRNAs are located in the nucleoli, the traditional methods of RNA interference (RNAi) such as dsRNAs or siRNAs can hardly work, but RNase H1-dependent antisense oligonucleotides (ASOs) can be easily transported into the nucleus [35, 36, 37, 38]. So here the modified ASO of Sf-15 was used to repress the expression of Sf-15 in Sf9 cells. Results showed that the expression of Sf-15 was inhibited by nearly 33% after 24 h transfection, and reached to 75% after 72 h transfection of ASO (Fig. 2a), which indicated that the modified ASO can effectively knock down the expression of Sf-15. Additional file 1: Table S1. 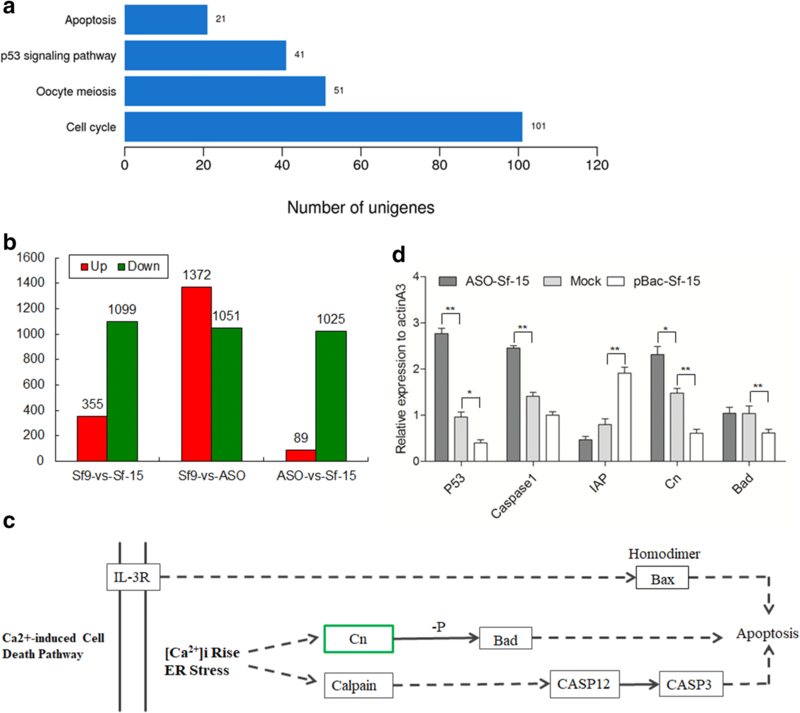 Differentially expressed gene list upon Sf-15 overexpression and repression. 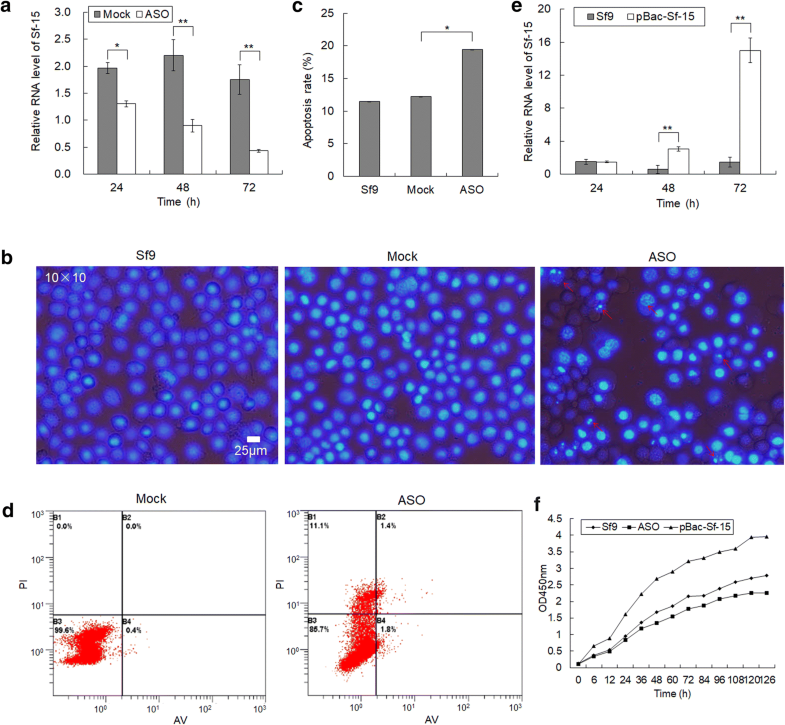 ASO and Sf-15 means cells were transfected with antisense oligonucleotides of Sf-15 and overexpression vector pBac[A3-EGFP-A3-Sf-15], respectively. Additional file 2: Fig. S1. 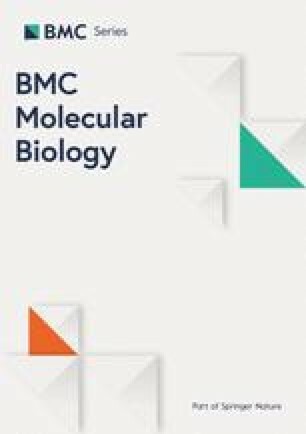 Functional classification of genes with reverse expression pattern upon Bm-15 repression and overexpression. (A) GO classification of genes with expression being increased as Sf-15 was knocked down but decreased when Sf-15 was overexpressed. (B) GO classification of genes with expression being decreased when Sf-15 was knocked down but increased when Sf-15 was overexpressed. (C) Statistic analysis of the numbers of genes in figure A. (D) Statistic analysis of the numbers of genes in figure B. ASO and Sf-15 means cells were transfected with antisense oligonucleotides of Sf-15 and overexpression vector pBac[A3-EGFP-A3-Sf-15], respectively. Up means the expression of genes were increased, down means the expression of genes were decreased. Table S2. Primer set used in the experiment. Table S3. Unigenes were subjected to Blastx against public protein database in Sf9 cells.